Spinal cord injuries can have debilitating effects on a person’s life and cause significant physical, emotional, and financial issues, including paralysis, lost wages, and ongoing medical bills. The Foley Law Firm works on a contingency basis, so victims of a spinal cord injury can focus on their recovery rather than mounting legal fees. If you have been in an accident and suffered a spinal cord injury, partner with a Scranton, PA, spinal cord injury lawyer who knows how to demand full and fair compensation for the damages sustained. Spinal cord injuries can cause significant changes to a victim's quality of life. Spinal cord injuries drastically change the victim’s quality of life and might even require ongoing rehabilitation or therapy, or a lifetime of medical care. The costs associated with recovery can quickly mount, leaving a victim with a stack of bills for an accident that was not their fault. When another person or entity is responsible for the accident, the victim has the right to pursue all relief possible from the culpable party. Spinal cord injury lawyers help receive all you deserve after an accident that damages your spinal cord. Many times, the effects are long lasting and require constant care. 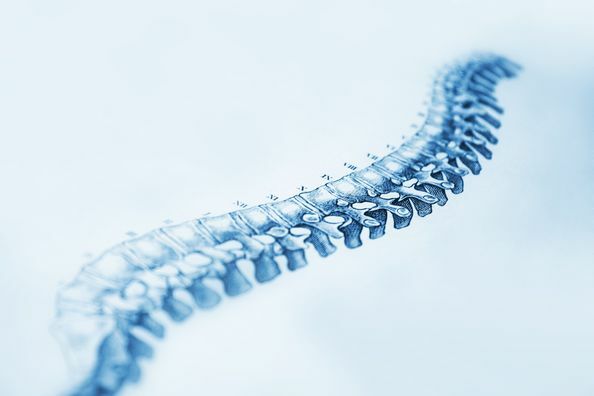 What Types Of Damages Are Available For A Spinal Cord Injury? The damage done from a spinal cord injury is much more devastating than an injury such as a broken bone or other types of personal injury cases. This is because the spinal cord connects the brain to the body’s nervous system and transmits sensory neurons from within the body to the brain. Damage to this delicate system often results in full or partial paralysis, loss of sensation in the arms or legs, and an inability to control muscles. The treatment needed for these injuries can last a lifetime and be quite expensive. Many victims of spinal cord injuries are unable to return to work and suffer a diminished quality of life as a result of the severe lifestyle changes required to live with a spinal cord injury. Compensation is available in the form of reimbursement of medical expenses, the costs of ongoing care, lost wages, loss of earning capacity or a recovery for a diminished earning capacity, and the pain and suffering associated with a life-changing injury. Calling an experienced attorney is a must for every case wherein the spinal cord is injured. A qualified attorney understands the need to put on expert medical testimony to establish damages and how to connect the injury to the accident so you can hold the negligent party accountable. Our spinal cord injury lawyers are dedicated to protecting your rights and demanding all of the compensation you need to cover the costs associated with the accident and resulting injury. To schedule an initial office consultation, you can either contact us online or call us at (800) 523-6539.